Luis Navas is a Senior Partner and the Founder of GGA, and is a globally recognized expert in the areas of Executive Compensation, Human Resource Strategy and Corporate Governance. He has served for over 25 years as an advisor to the board of directors and top management of major corporations around the world. Luis specializes in the innovative design and implementation of corporate governance and compensation programs that support organizational strategy and objectives, as well as shareholders’ interests. Luis has consulted to a variety of organizations in North and South America, Europe, Asia and Africa, across a wide spectrum of industries. Luis’ background includes experience in the investment industry in Corporate Finance and as a Mergers and Acquisitions specialist, at BMO Nesbitt Burns. He subsequently spent several years with Mercer Human Resource Consulting where he rose to the position of Senior Principal in their Global Executive Compensation Group, and has also been Vice President of Compensation for one of Canada’s largest corporations. Luis also co-founded Canada’s first independent executive compensation advisory firm and built it into Canada’s largest. Luis has worked extensively with some of the most well respected companies in the areas of executive compensation and corporate governance. 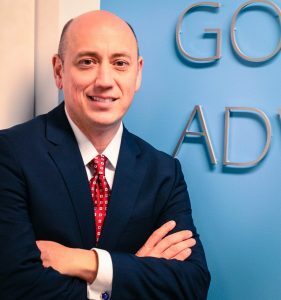 Prior to GGA, Luis was National Practice Leader, Executive Compensation for Korn Ferry Hay Group in Canada, and a member of the firm’s Executive Management Committee and Global Practice Leadership Group. Luis graduated with high distinction from the Richard Ivey School of Business with both Honours and Masters Business Administration degrees, ESADE Business School in Barcelona, Spain, and has attended the Harvard Business School’s Executive Development Program. He is a former faculty member of the Directors College and was instrumental in the development of Global Governance Advisors’ Executive Compensation Certificate Program, conducted in partnership with the Human Resources Professionals Association. Luis was named by Florida Trends Magazine as one of the Top 500 Business Leaders in Florida. Additionally, he is a frequent speaker at professional conferences, national television and syndicated radio, and writes extensively on all aspects of executive compensation. Luis is also very dedicated to improving the lives of Autistics and sits on the Board of Directors of both the MIND Institute at The University of California and Florida International University EMBRACE, in addition to leading GGA’s Charitable Foundation.